Thrilling new drama series Strike Back will be landing on Sky One later this month, and here are five reasons why it is definitely worth a watch. Explosions, high-stake missions, you name it: Strike Back is the action-packed show sure to keep you gripped throughout. The new series sees the resurrection of the Section programme in order to track down a notorious terrorist following a brutal prison break. Tasked with covert military intelligence and high-risk operations, the restored unit embarks on a lethal manhunt that will uncover a vast web of interconnected criminal activity. As the team journey across the Middle East and Europe, they uncover a deadly conspiracy which threatens to overwhelm them all and change the face of modern warfare forever. 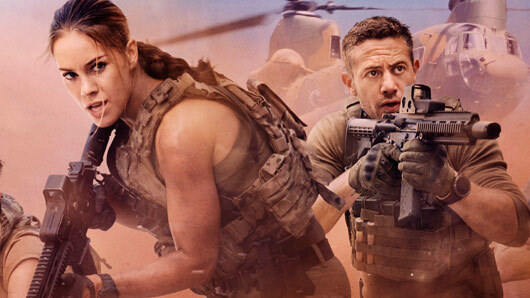 Strike Back is returning to Sky One with an exciting and brand new cast. The series will be formed of Warren Brown (Luther), Daniel MacPherson (The Shannara Chronicles) Roxanne McKee (Game of Thrones) and Alin Sumarwata (Neighbours). Among the high-intensity action scenes, the show also tackles some seriously interesting contemporary issues, as the Section programme is thrown into today’s world of political polarisation, violent power struggles and fear. With a team of only the best creators behind the new series, viewers can expect a high-quality and well-executed season this October. The new series was penned by the amazing Jack Lothian, who also served as showrunner and executive producer. Michael J. Basset directed the show, and was also an executive producer alongside Andy Harries and Sharon Hughff, while Bill Shephard was the series producer. Strike Back returns to Sky One on Tuesday, October 31 at 9pm.